Transparency can help set a good standard for any business with complex supply chains, and some have historical reasons to embrace this. 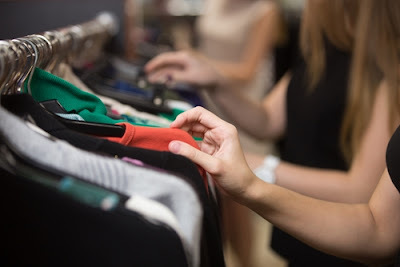 The fashion and clothing industries, for example, have seen accusations of exploitative labor and environmental negligence before. Though there is clearly still lots of change that needs to happen, the second Fashion Transparency Index report recently pointed out some of the efforts brands have made to improve conditions. The Index looked at several different popular and well-known industry names, including Abercrombie & Fitch, Calvin Klein and Reebok. Each of the 100 different brands in the index had to represent annual turnover higher than $1.2 billion and join the study willingly. The results showed some definite needs to develop. More than half of the brands didn't respond to the index questionnaire in the first place, and none of those that did placed above a 50 percent on a larger scale. That section of the spectrum would have represented an active commitment to disclosure and mapping the impacts of their practices. "Most of the respondents signified minimal transparency, if any." Instead, most of the respondents fell into the 0 to 10 percent range, which signified minimal transparency, if any. Three brands, Dior, Heilan Home and s.Oliver, scored a zero. In contrast, the highest-placing brands were Adidas and Reebok, which both reached 49 percent. This indicated attention to major issues and transparency about processing and supply details. The average score was 20 percent, which meant that most of their policies were probably published. Fashion Revolution, the organization behind the Index, clearly intended it to be a call to look more closely at business processes. In a press release on it, the co-founder Carry Somers explained the need to know more about the operations behind the scenes of major businesses. The emphasis was on proper wage levels as well as lower impact on the environment through more mindful processes. The Index also specifically looked at areas such as traceability, which contributed the most to the final score, and each brand's approaches to monitoring and interacting with its own suppliers. "People have the right to know that their money is not supporting exploitation, human rights abuses and environmental destruction," Somers said. "There is no way to hold companies and governments to account if we can't see what is truly happening behind the scenes. This is why transparency is so essential." When businesses have good examples to pattern themselves after, it can be the start of real change. Even brands that aren't at the same level of popularity can still at least introduce concepts worth absorbing. Gear Junkie recently looked at the German outerwear company Jack Wolfskin, which operates multiple different programs, including efforts based on embracing recyclables, promoting animal welfare and dropping perfluorocarbons. Most significantly, it also put a focus on educating consumers about its processes, the source said. Enforcing strong supplier relationship management is good for the company as well as its consumers. With more information shaping policies and programs, any business has the chance to save money and further align with government policies.